Contrary to popular belief, not only obese and overweight but also non-obese and lean persons may be prone to Type-2 diabetes. A recent study has found that while most diabetics in the West are also overweight and obese, in India nearly 20 to 30 percent are suffering from diabetes are non-obese and even some are lean. Insulin resistance occurs when the cells in muscles, body fat and liver start resisting the signal that the insulin hormone is trying to send out to get glucose out of the bloodstream and put it into the cells. Insulin resistance leads to diabetes, which in medical parlance is known as Type 2 diabetes mellitus or T2DM. Researchers measured insulin levels of 87 diabetics (67 men and 20 women) and also C-peptide levels. Actually, beta cells in the pancreas that make insulin also release the C-peptide-a polypeptide comprising 31 amino acids. Although C-peptide does not actually affect blood sugar of a person, the doctor can measure its level to figure out how much insulin the person’s body is making. So, what made researchers measure the C-peptide levels along with insulin levels in the diabetics under study? Because C-peptide gets secreted at a more constant rate across time durations as compared to the insulin secretion. Also, C-peptide levels are more stable compared to insulin level (its half life is nearly six times that of insulin) which facilitates testing of beta cells’ response, the study points out. The results revealed that the persons included in the study had, by and large, features of adiposity characterised by high body fat, abdominal fat and fatty liver condition, which may not be visible from outside. The study has concluded that non-obese (BMI below 25) and even lean (BMI below 19) Indians have high body fat, excess fat in liver and skeletal muscles and lesser skeletal muscle mass. In particular, they have ectopic fat in liver (non-alcoholic fatty liver disease) and pancreas (non-alcoholic pancreas disease), which may contribute to insulin resistance leading to diabetes even in young age. Along with high body fat and visceral fat, researchers also found elevated levels of insulin and C-peptide in the 87 diabetic patients studied by them. 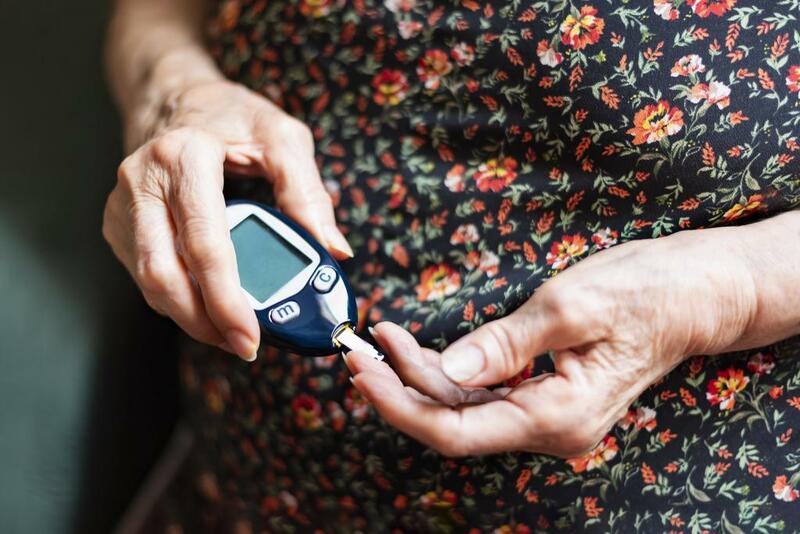 Such patients would benefit better from pharmacotherapy using insulin sensitisers or weight loss therapy, says the study. “Indian physicians should urge patients to lose weight even when they have normal body mass index (BMI) category so as to maintain body habitus at leaner side. This could prevent diabetes in those who do not have it yet, and blood sugar levels are better managed in patients with diabetes,” he adds.